Our friends at Digital Camera World have taken the new iPhone XS for a spin. Unless you've been hiding under a rock for the past week, you'll know that Apple recently announced its next generation of iPhones: the iPhone XS, XS Max and iPhone XR. The popular smartphone has undergone a number of updates for its latest iteration, and there's been a lot of excitement around its new photography options in particular. Always searching for the best camera phone around, the team at our sister site Digital Camera World have wasted no time in getting their hands on the new iPhone XS and XS Max to write a full review , focusing in particular on the iPhone's new camera specs. Highlights include a 12MP camera, backed by a bigger sensor measuring 1.4µm, to help negate difficult shooting conditions. The XS also has two lenses: a six-element, wide-angle f/1.8 lens, and an f/2.4 telephoto optic in front. True Tone flash and optical image stabilisation are present, too. Meanwhile, the front TrueDepth camera has seen some improvements as well, with a new 7MP sensor and f/2.2 lens. Some particularly interesting features for photographers include Smart HDR, a new manually adjustable Depth Control option, and improved bokeh with Advanced Picture mode. 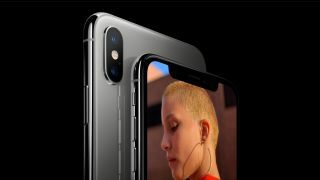 Many of the new improvements are powered by the much-discussed iPhone XS A12 Bionic chip, which, Apple claims, means the iPhone can make a trillion operations per photo. Impressive stuff. "In our test, in day-to-day conditions, the shots taken were decent," says Digital Camera World. "Images we superbly detailed and oozing the colour and sharpness we have all come to expect when you add HDR into the mix. Compared to the iPhone X, images have a touch more colour and saturation, and it resembles a good hybrid of the Pixel 2 XL and the Samsung Galaxy Note 9. With all this added functionality, it's not hard to see why people are excited by the camera's possibilities. And artists and designers should be as well. New and improved depth of field and bokeh options, coupled with enhanced speed and sensors means the iPhone XS offers much greater control in post production, too. Find out how the Digital Camera World crew got on with the iPhone XS and its new camera capabilities – and read the full review – over on the DCW website.